Serum and salivary IgA antibodies toKlebsiella pneumoniae were estimated by enzyme-linked immunosorbent assay (ELISA) in 53 patients with ankylosing spondylitis (AS) and 30 healthy controls. The concentrations of total serum IgA, salivary secretory component (SC) and serum C-reactive protein (CRP) were also measured. In the serum of AS patients there was a positive correlation between Klebsiella IgA antibodies and the CRP. Salivary anti-Klebsiella IgA was elevated in 39% of AS patients although this was not associated with disease activity. Serum and secretory IgA antibodies toE. coli andPseudomonas aeruginosa were similar in patients and controls irrespective of disease activity. 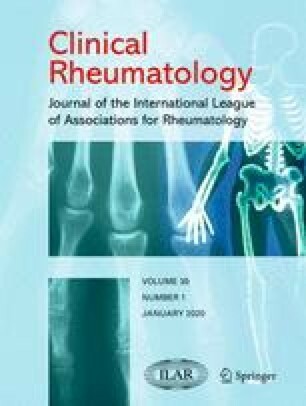 We conclude that part of the increase in salivary and serum IgA in AS may be due to a specific immune response toKlebsiella in the gastrointestinal tract and that serum antibodies reflect more closely those events associated with active inflammatory disease.